*source* Mesa (/ˈmeɪsə/ MAY-sə) is a city in Maricopa County, in the U.S. state of Arizona. It is a suburb located about 20 miles (32 km) east of Phoenix. 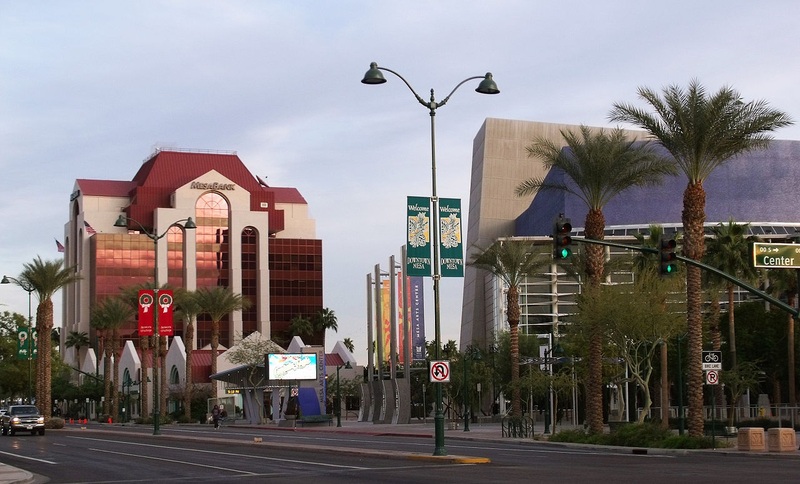 Mesa is the central city of the East Valley section of the Phoenix Metropolitan Area. It is bordered by Tempe on the west, the Salt River Pima-Maricopa Indian Community on the north, Chandler and Gilbert on the south along with Queen Creek, and Apache Junction on the east. Mormon pioneer Daniel Webster Jones led an expedition to found a Mormon settlement in Arizona. Leaving St. George, Utah in March 1877, Jones and others arrived at Lehi, an area within the northern edge of present-day Mesa. Jones had been asked by Mormon officials to direct a party of people in establishing a settlement in Arizona. This settlement was initially known as Jonesville and Fort Utah and did not receive the name of Lehi until 1883, when it was adopted on the suggestion of Brigham Young, Jr.